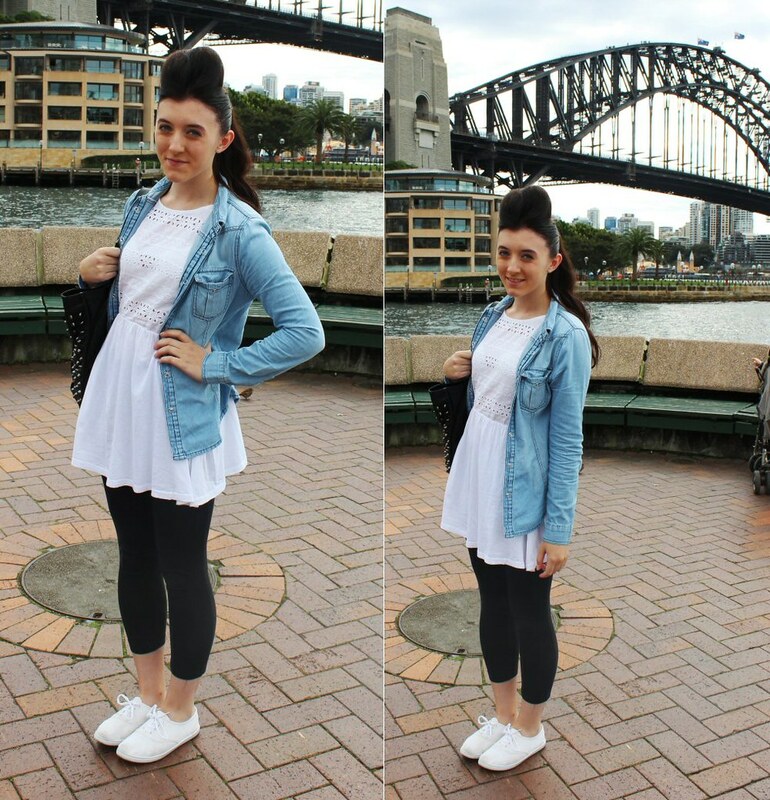 Another heel-less outfit for me in Oz - this is what I wore for my Sydney Harbour Bridge Climb. Without a doubt, it is something you have to do if you're visiting Sydney, and they're not paying me to write that! The experience was amazing, I learnt a lot and well, the views were spectacular. Although I wore this, you are given a jumpsuit to wear to the top so not much of this outfit was on show. I tried to keep the look fresh and low-key, even by wearing my hair up (a tip for anyone doing the climb - you're not allowed to have any grips aka kirby grips in your hair prior to climbing so bring plenty of bobbles! - I was worried my quiff was going to go insane but luckily the hairspray held it! ).